It's that time of the year again... Girl Scout Cookie season! We all know that we can't resist walking past them up as we go into the grocery store so you end up buying more than you can probably eat (or should eat). 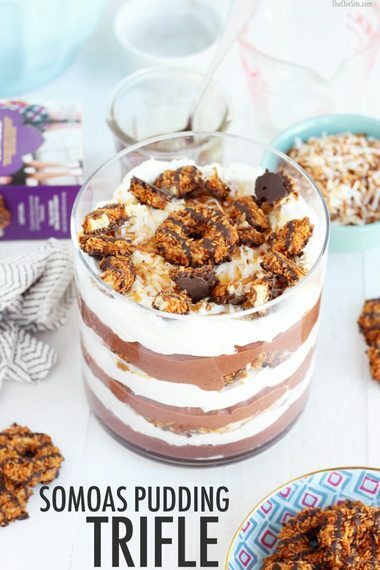 So I thought why not use those Girl Scout Cookies and make another delicious dessert recipe a Pudding Trifle. 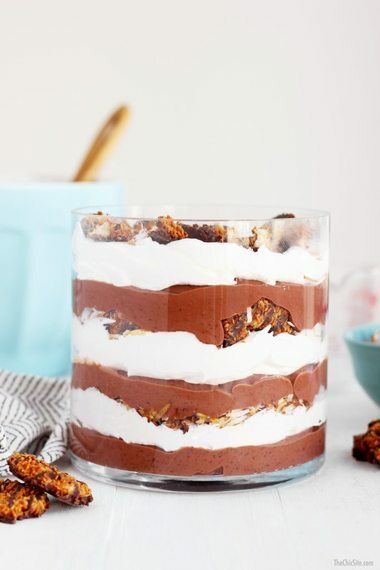 Scroll down to see how you can make it and serve to everyone who just loves sweets as much as you! Let's start by making the chocolate pudding. 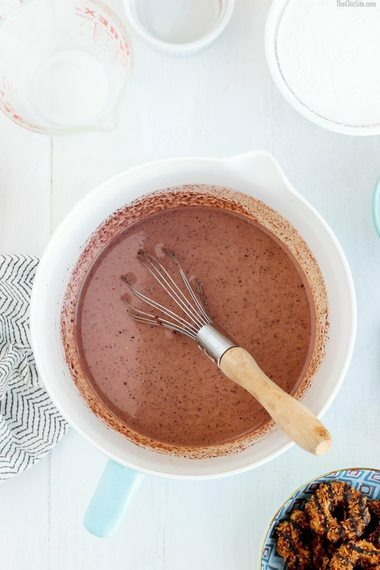 We're using store-bought instant chocolate pudding mix. Make sure it's instant pudding and not the stovetop version. Mix the pudding with the milk until evenly combined. Cover with plastic and pop in the fridge and allow to chill for about 30 minutes. We didn't have a trifle dish on hand, so we just used a wide vase but a glass bowl will also work. 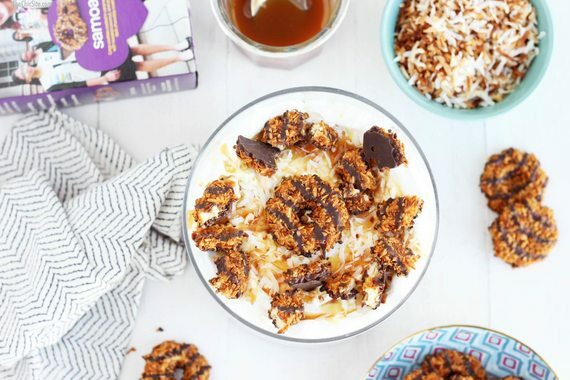 Start by layering the chocolate pudding on the bottom and then a layer of cool whip, caramel drizzle, crushed Samoas cookies and a sprinkling of toasted coconut. 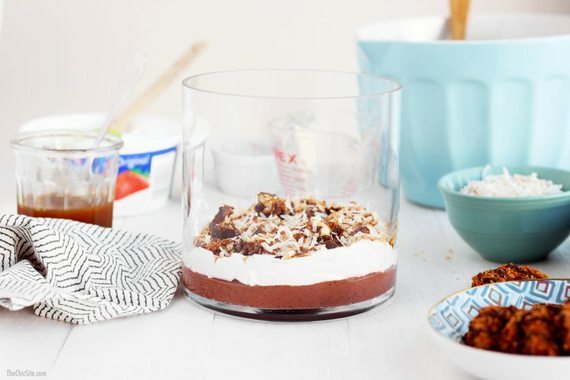 Repeat with another layer of chocolate pudding, cool whip, caramel, cookies and toasted coconut. 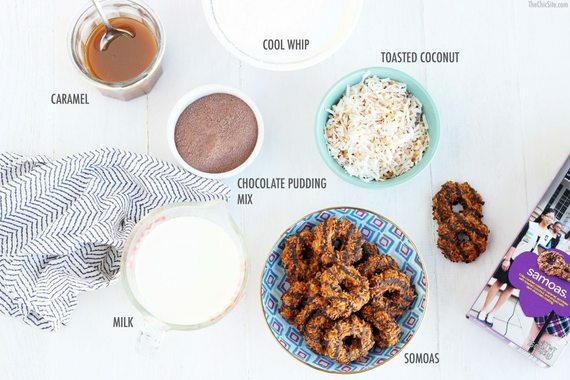 Continue this until all of the ingredients are used and you've reached the top of you Samoas pudding. Cover with plastic wrap and chill in fridge until ready to serve. 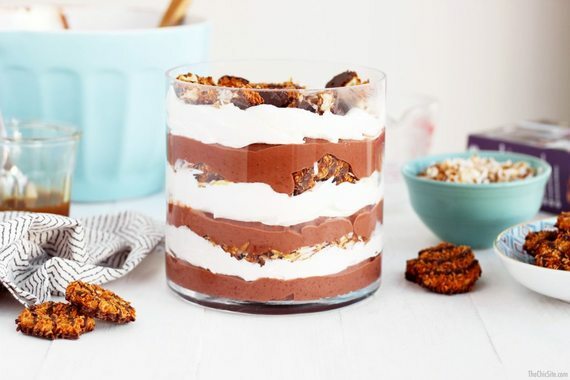 It's best if you let it sit in the fridge for at least 1 hour to allow all the layers to set.